Whatever reason you have for traveling to Sitka this summer, we hope, for your sake, it’s not just work-related. You may have heard people tout Sitka as one of the most beautiful cities in Southeast Alaska, or that the fishing is great and the people are nice. Our two cents? Total understatement. Sitka, which is located on the west side of Baranof Island along the Alaska Panhandle, is nothing short of stunning. Narrow and long, the city sits between the ocean — dotted with hundreds of islands — on one side, and spruce and hemlock-covered mountains on the other. The sunsets and sunrises may cause you (for a few moments at least) to wish you could drop everything, buy a boat and move to this picturesque coastal community. Before making the leap and selling your house, try starting with these recommendations on your next visit and ask the friendly locals you meet for more! If you’ve only got a day to explore, consider printing off this Sitka walking tour guide from TripAdvisor. The guide offers simple directions starting from the docks at Crescent Harbor and east through the city to the Raptor Center with several highlighted attractions along the way, such as the Sheldon Jackson Museum that houses a unique collection of Alaska Native artifacts collected by its founder, Rev. Sheldon Jackson. 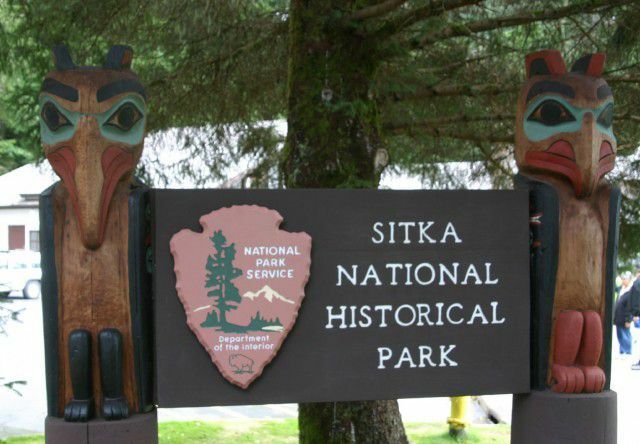 Toward the end of the walking tour route, Sitka National Historical Park is a must-see. Tlingit and Haida totem poles stand erect along the trail in this rainforest park that preserves the site of a historic battle between indigenous Tlingits and the Russian traders who invaded the area. Even the non-history buffs will appreciate the sense that “something big happened here” as they stroll under the canopy of trees. Another nearby attraction worth a stop is Fortress of the Bear, a bear sanctuary that houses eight brown and black bears rescued as cubs and raised in a loving environment that closely simulates their natural habitat. The scenery surrounding Sitka is the kind you see in travel magazines and outdoor catalogues, and one of the best ways to see it up close is perched in a one- or two-person sea kayak. Westmark can connect you with several sea kayaking adventure outfitters in town, where it’s easy to get out and paddle your way around as schools of fish jump out of the water. Sitka is also home to world-class saltwater fishing. Coming up soonest is the Sitka Salmon Derby, an event to see who can reel in prize-winning fish. The derby takes place over the last two weekends in May and has been a popular fishing event among Sitkans and visitors for the past 60 years. The Sitka Seafood Festival is another perfect excuse to plan a trip to this historic city where the deed to purchase Alaska was signed in 1867. The festival is a three-day event dedicated to celebrating and enjoying the treasure that is Alaska’s seafood. Films, cocktail hours, footraces, cooking demos and a seafood extravaganza featuring a five-course meal prepared by visiting chefs using locally-harvested seafood are some of the highlights festival-goers can expect. A weekend in Sitka can easily be filled with great activities, hikes and events any time of year. The view of nature at its purest can be taken in from just about any spot on the island. While getting outside is always a good idea, we certainly won’t blame you if you opt for a relaxing weekend at the Westmark Sitka Hotel just hanging out at the Kadataan Lounge, sipping on some wine and enjoying the view!